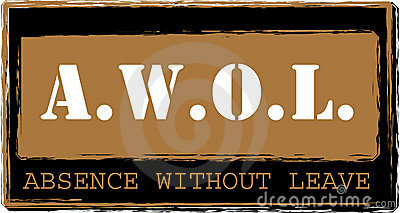 Wow it’s been a while since I’ve contributed to this, some may say ive been MIA, or gone AWOL! Infact, I spoke to my bloggy genius friend yesterday and he said consistency is key, however consistency can only be key if the word is part of your vocab and out of convenience, I have decided that on this instance I shall eliminate it! Doh! So what has Miss Digressive been up to of late? That would be telling, but as always Summer is a busy time of the year. I promise, after this weekend I shall have a considerable amount to comment on. However, just to keep you going, I thought I’d wet your taste buds and give you an updated version of my previous ‘Exciting Openings – London‘ post! First off, it would seem that the Pan Asian ship seem to have sailed and in its place are key cuisines with a little fusion. That being the case, I was still a little surprised to hear that old favourite Cocoon has closed and will be replaced with a brand spanking new Japanese twice removed cousin. Senkai is set to be a modern Japanese restaurant and cocktail bar – look out for this new kid on the block! Next in line is Suda. From the Patara group comes this all day dining restaurant and bar opening in St Martin’s Courtyard. Suda promises a noodle bar where diners can create their own combinations and also the UK’s first Som Tom (Thai papaya salad) bar. Sounds like a pretty exciting prospect to me, let’s just hope the reality is just as good! Although not my general first choice, there appears to be a bit of an influx of Mexican joints popping up. 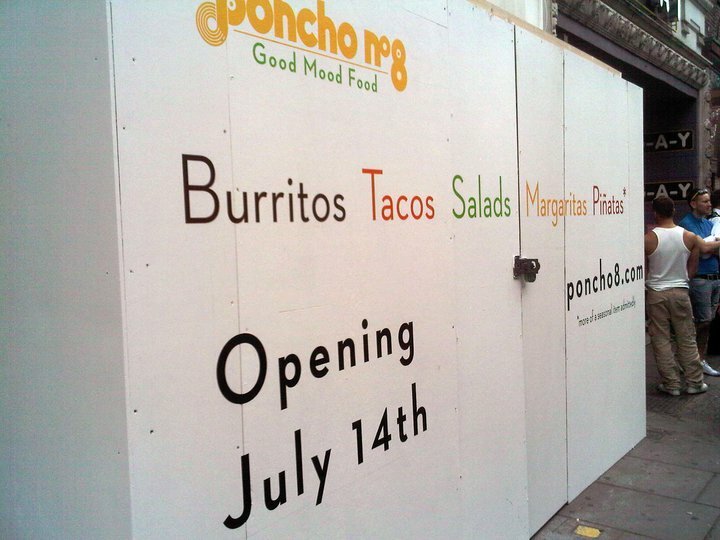 Whilst we’ve got American favourite Chipotle opening on Baker St later this year, ‘Gourmet Burrito’ mini chain Poncho No8 has pit them to the post by setting up shop on Old Compton Street with the official opening tomorrow! Expect all the Mexican regulars such as burritos and tacos mixed with beers, tequilas and my main cause for excitement, the margaritas. My last choice is on the list purely because I’m intrigued of what will come of a collaboration between a footballer and a singer come producer. Yes that’s right, footballer Ashley Cole is set to be joining forces with Jay Z to provide London with an American themed menu set to the backdrop of top djs and music artists. 40/40 is only in the first stages and locations are due to be finalised next month, but in the mean time, now that I’ve read a little more, the prospect is rather exciting and with numerous outlets in the US the formula should work in London just as long as the food is good! That’s all for now…I promise I’ll be a little more ‘consistent’ …or atleast try!